Many real life signal processing inputs are expressly floating point signals. The outputs are also generically floating point signals. However, due to cost, desired speed and choice of hardware, a fixed point implementation will have to be deployed. This has the tendency of increasing the output error and ultimately degrading the desired signals. Microphone array beamforming solutions most times require fixed point implementations because of the use of custom and cost effective DSPs. The ultimate choice of filtering has to maintain performance margins whilst using less precise signals. At VOCAL, our algorithms are tuned for minimal performance degradation on customers choice of DSP hardware. 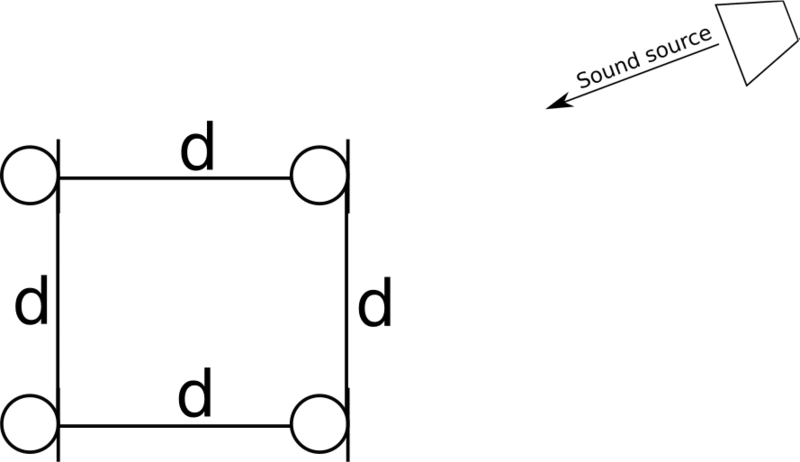 For example, consider a four microphone square topology microphone array beamformer as shown in Figure 1. Table 1 below shows the performance improvement using only beamforming on both a floating point processor and a fixed point processor. As can be seen, there is a consistent match between the floating point processor output and the fixed point processor output.